The Hudson Reed Topaz Edwardian style Deck Mounted Bath Shower Mixer with Shower Kit offers the perfect upgrade for any traditional bathroom. Although these fittings are suitable for low pressure, we recommend a minimum operating pressure of 0.2 bar for best performance. 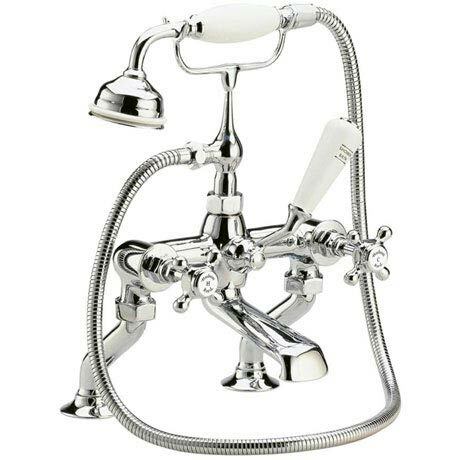 Q. can i get spare parts for Topaz bath mounted shower mixer? Hi Martin, if you contact our customer services or email info@victorianplumbing.co.uk with the product code of the valve, or your order number, we shall try our best to help locate these spare parts for you. I hope this is some help, thank you for getting in touch.